I love a good wide brim hat not only because they look so damn cool, but because on crumby weather days, they really are nice to keep the snow and rain off your face and the back of your neck. And while you can go a lot of ways with this look (floppy, round brim, fedora-style), my favorite shape is that of a straw panama, but in felt. You look a little like a detective, and a little like Indiana Jones. Instant mystery? I'll take it. The one I wear is more than two years old from Madewell, but I'm now lusting after black and grey ones from Rag & Bone, Sole Society, and (sigh) Saint Laurent. In stark contrast to this style, I'm also obsessed with cozy knit beanies right now. What about you? Are you having a moment for hats of all kinds? 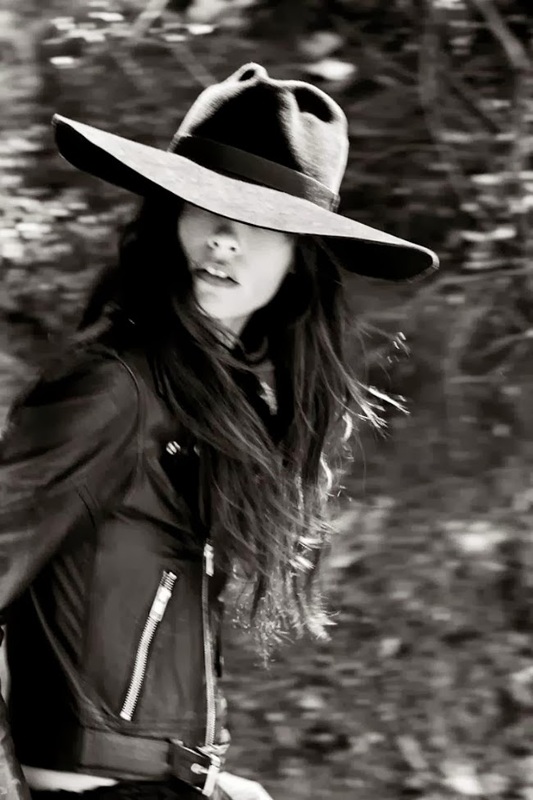 I love the wide brim hats as well! The first photo is so pretty! I'm a fan of hats. Why don't you upload more photos with hats you have worn.